Angels are magical, divine beings that are often associated with religion, dating back to the days of Judaism. The term 'Angels' is derived from the ancient Greek work 'angelos' which means 'Messengers'. Angels have been associated with bringing Divine messages from God, as in case of Islam where the Quran is revealed to the Holy Prophet Muhammad by Angel Jibrael; protection from evil, as in Judaism where Angel Michael is seen as a protector of Isreal and even healing, as in Christanity where Angel Raphael is associated with having divine healing properties. Interestingly enough, all the three angels mentioned above are common in all three books of all the three major religions mentioned above, i.e. in the Quran (Islam), the Bible (Christanity) and the Torah (Judaism). Angel Jibrael of Islam is the same as Angel Gabriel of Christanity and Judaism; Angel Michael of Christanity and Judaism is the same as Angel Mikael in Islam; similarly Angel Raphael of Christanity and Judaism is known as Angel Israfel in Islam. In today's time and age, angels are now no longer affiliated only with religion. Angels have been used in powerful pieces of great literature such as 'Paradise Lost' by John Milton, 'The Angel' by William Blake and Paradiso by Dante. Popular literature portrays them as beings of light, with fancy large wings to fly with and a golden halo on their head. They have been subject to many fanciful imaginations, and even resulted in best selling movies such 'City of Angels' (1998). Angels are associated with a lot of mystical properties and responsibilities. They are also associated with difficult tasks such as the Angel of Death who collects the soul from the human body to return to God. There is also the concept of 'Fallen Angels' which is controversial, with some saying that there is no mention of fallen angels in religion, whereas another minority defining them as those angels who have disobeyed God and cast down from heaven. This view is supported by some adorning to the Christian faith, but not in Islam since according to Islam, angels always obey God. A rather bizarre take on Fallen Angels has been taken in History Channels documentary 'Angels and Aliens' where Fallen Angels are explained to be aliens who have been exiled from their host planet. Majority of people also believe in the concept of 'Guardian Angels' who are always with an individual, guiding them and protecting them from harm. A survey published in TIME magazine in 2008 gives staggering figures, stating that 55% of Americans believe they have actually been helped by a guardian angel at least once in their life times. When related to religion, Guardian Angels have also been mentioned as in Islam where they are known as Mu'aqqibat which protects a person from death until it is destined for him. The concept is slightly controversial in Judaism and Christanity. 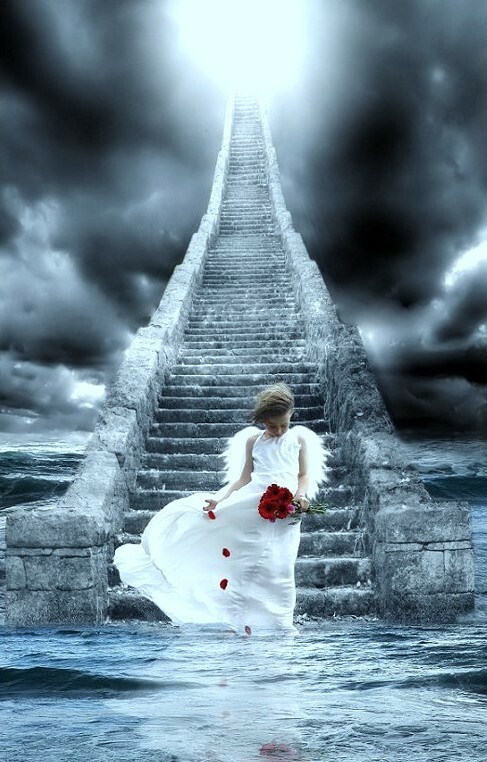 The theory of Guardian Angels is most accepted, transcending religious boundaries. A similar notion can be traced back as early as ancient Greece to the great philosopher Plato, who mentioned in his work 'Phaedo' how God sends a spirit to look over each person. Whether one believes in Angels or not, there is no doubt that they have remained an important part of human history, whether as fragments of imagination, aliens or powerful messengers from the Creator Himself.